I just love this time of year...and no its not because we still have 30+ cm of snow outside but during this time (end of March) is the time of year when Asparagus is in season. This will last for a couple of months now; meaning that usually its about $1.99/lb. We didn't grow up eating the stuff but once we were married I found a delicious recipe for creamy spaghetti and it called for asparagus. Since trying that recipe we have been hooked. 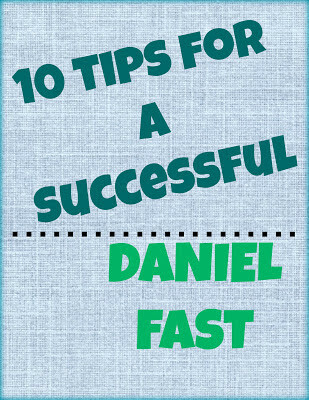 But there are a few tips I have learned along the way. The first time we ate it the bottoms were like trees, literally. They were hard, woody and chewy. Little did we know this trick to get ride of the "woody" bottom. First you hold the asparagus with two hands, one on each side. I know there is only one set of hands in this picture but I couldn't hold them both and still take the picture. When both hands are on either side you bend the asparagus lightly and the lower more hard spot with break off from the upper more tender part. This makings the eating asparagus experience more delightful since you won't be chewing away for hours on the tough fibrous part. Once all the ends are snapped there are many ways you can cook it. I like to steam it and serve with a creamy cheese sauce. On a side note after this delicious meal I made one of our favorite desserts Hot fudge cake and we decided to let the little guy try a bit. After we were finished feeding him he decided he wasn't done and started licking out the bowl and he was too cute to stop. I don't really feel like this BBQ man in the picture above. I thought it was almost BBQ season this weekend but we woke to a snow storm this morning, all schools canceled and the weather man calling for 25 cm-30 cm!! Having a stocked pantry that is well organized has really helped save me time when it comes to creating a grocery list and whipping together last minute meals and treats. Here are a few things that I keep on hand in my pantry. 1. A basket filled with extra baking supplies (you can tell from the picture I picked the basket up at the local dollar store). Here I keep extra sugar, brown sugar, chocolate chips, cocoa, baking soda, baking powder...you get the point. 2. The next basket I keep lots of extra canned goods. I have evaporated milk for my donair sauce, cream soups for my fast and frugal meals, tomato sauce and paste. 3. This next basket is great for keeping lots of homemade mixes. I have ready made flavored rice mixes, taco and fajita mix and then for those times when I want to whip something together fast but I have a baby crying and holding on for dear life to my leg I can simple throw all the drys in and just add the wets by reading the directions on the bottle. This is also good for days when I want hubby to whip something up; he just has to dump and add the wet! Here are a list of great mixes to have on hand. Also any mix can be made in advance by just placing the dry ingredients all together in a reused glass jar. The babe is getting so big now and he wants to be a part of everything we are doing. So why not let him get practicing on his kitchen skills. I am working on an apron for him complete with a matching hat but until I get that done I simply just tied this apron up a little bit for him and put him to work!! I think he should be flipping burgers by the summer!!! Believe it or not but you can actually make your own great tasting sloppy joes. 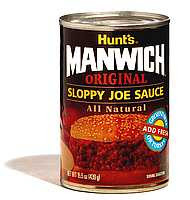 As a kid I always thought that a sloppy joe was made by combining a big can of Manwich with some ground beef. After becoming a wife I have found out that you can make your own sloppy joe sauce that taste even better. Preparation: Fry ground beef with onions and garlic; drain fat. Combine all sloppy joe ingredients together and pour sauce over hamburger mixture. Bring to a boil; reduce heat and simmer for20 minutes. Serve warm over hamburger buns. This recipe is great for making up large batchs and freezing. 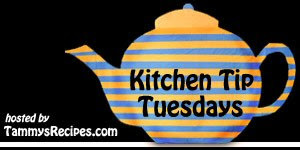 For more great kitchen tips head on over to Tammy's Kitchen were you are sure to find lots of wonderful recipes! I am so glad I sat down last week and figured out the rest of the months meals. What an easy job I had today of just switching a few things around. Friday: Away for the weekend. Every Friday I like to prepare a "take out meal". Pizza is usually the choice meal for our Friday nights as I have perfected my crust making skills and donair sauce!! Using my favorite pizza crust recipe and my pizza stone I whipped together this thin crust pizza that was nice and crispy. One thing that I do for pizza is after it has raised I roll it out with the rolling pin. I find that this makes it into a really big pizza that will fit onto my stone and leave me with extras to make some garlic fingers. Another thing that I like to do is I cook my crust first with nothing on it for 15 minutes. Then I take it out and put the toppings on. I find this gets the crust cooked before you add the toppings so you aren't left with a soggy crust and a hungry impatient family. For my garlic fingers I use the excess crust that I cut away from the pizza stone and spread it out onto a smaller pizza pan. Then I spread it with garlic butter (margarine with mashed garlic) and bake in the over from 10 minutes. Remove from oven grate with cheese and bake for another 5 minutes. Now this wouldn't be a special pizzeria night if I didn't have donair sauce to dip the pizza and garlic fingers into. This simple donair recipe was taking from a post Niki did a while back and by making it a couple of times I have now figured out the prefect balance. 1. Mix cold milk, sugar and garlic powder. 2. QUICKLY add the vinegar and stir about 5 times. 3. Place in fridge until ready to serve. ** For some reason the quicker you add the vinegar and the less you stir the better consistency it will be. Can you believe that this delicious looking meal is under $10. Now for fun lets see how much this would be at a local pizza shop. As you can see making pizza at home is worth it for us. Ecspecially when you get cheese on sale!! The easiest thing we do with our cheese sales is grate, lay flat on a cookie sheet, freeze. Once frozen we place in a large Ziploc baggie and it gets tossed into the pizza basket in the freezer. Another thing in case you are wondering is what about the veggies on the pizza. This wasn't factored into my pricing because I always have frozen peppers and mushrooms diced up in the freezer pizza basket that I purchase on the reduced rack. I always use what I have on hand so even if I did add in their price it may only be 0.20-0.50 cents more. Since Micah and I have been married we have been drinking powdered milk. At first we were buying it at the Super Store but it didn't seem to taste as good as the skim milk I was use to drinking. After about 1 year of drinking the stuff we decided to look into buying a large bag from dairytown in Sussex. This is where Micah's parents use to buy the milk for their family when they were growing up. So we got the number and for 3 years now we have been buying and drinking this delicious milk. For the first two years we shared the bag with couple friends of ours; however this year they didn't need any more so we actually having a whole bag. The bags come in 25kgs. These little white garbage bins are used around our house to store the flours and our milk. To make the milk we pour 4 cups of water into this blue jug. Then we add 1 cup of the powdered milk and whisk it until mixed. And finally we add 4 more cups of water. If we want it a little thicker then we add 3 cups at the end instead of 4. Of course what kind of advantage would this be if it wasn't saving us money as we all know that milk is really expensive. Just so my US readers understand we pay anywhere from $3.05 -$3.65 for 2L of milk. And here is the break down for the powdered milk. ~ As you can see from the math work above using powder milk saves us a lot of money/ per year or even longer as the milk is good for 18 months. Paying $190 for milk for ~ 18 months isn't bad. So why choose to buy from Dairyland. Well here are the prices for the powdered milk at other stores around town. It seems like a small difference but it sure can add up. Another factor for buying from Dairyland is the quality of the milk. The other brands are not as dense and you need to use more of them to make the milk. This is an investment worth making for anyone who drinks skim milk anyways and wants to save some money on the milk budget this year. I hope that my kitchen tip today can save your pots just like it has save my favorite pot many many many times. This little trick came from my friend Niki and it has helped me so much so I just have to share...now that I have pictures of this little trick. I am sure all my readers are such great cooks that this probably never has happened to you before but for me this usually happens when I am steaming squash. I usually only put a little bit of water in the bottom pan because I really don't like my squash wet and feel that if I steam it in as little water as possible then it turns out dyer. I am not sure if that is good theory but my squash always taste delicious... my pot on the other hand sometimes comes out of the battle not looking good. This is what happened to my trusty pot just last week as I was once again multitasking too many things while trying to cook supper. So now you can do two things. The first thing I use to do was soak the pot, try to scrub it, soak it again, more scrubbing then finally I would break down take out the SOS pad and scrub until my arm hurt. Now this is what I do instead! then add some vinegar and water. Now I know this is shocking but put the pot back on the burner and bring the mixture to a rolling boil for 15-20 minutes depending on how bad of shape the pot is in! Let it cool and take a cloth and wipe it clean!! You may not believe me but it works so well that you don't have to get out the SOS as you will be able to whip it with just a regular cloth. Here is what the pot looked like when finished!! Another week gone by and I didn't get to stock up the freezer like planned. Oh well I had to take the week off to tend to the little guy who came down with a yucky cold! This week we have some special guest coming. My mom and her friend who will be coming up Wednesday and then my bestest friend will be coming for 4 days!! Wednesday: Leftovers. We actually probably wont need to eat after going to the barn yard BBQ for lunch. 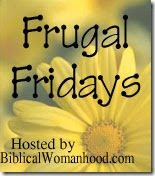 For more great meals head on over to one of my friend blogs $5 dinners!! We moved into our house two years ago this Sept and it has been a work in progress getting things in order. When we moved in I was 6 months pregnant so the nursery was the biggest priory. It needed to be primed, painted and decorated for our little bundle of joy. So needless to say our room took the back seat. Although hubby did put up our favorite wedding photo in the room for me. Since we don't have a head board I have been toying with different ideas as to what I would like to do to give our room some character. After much patience, lots of creativity and less then $10 I have finally finished 4 walling hangings that are now beautifully placed (thanks to my cute husband) over our bed. I started out looking at canvas at the local dollar store but they were quite small and were not designed to hang up nicely. After Christmas the dollar store went through some changes and added new stock. So at an added cost I picked up these 4 canvases for $2 a piece, which is still way cheaper then at an art store. That same day I noticed in their scrap booking section this paper that has all the colors of our bed spread and get this the pack had 25 sheets of paper in it for a buck!!! I still can't believe how prefect it matches!! After my big find last month these little puppies and the paper sat in my closet and were brought out every other day to be looked at to see if I could get a vision for what I wanted. I needed to add a little more creativity because the canvas was just a bit too big for the paper. To fill the whole canvas I decided to go with the natural tare look. I tried to measure it out so I would have the same size white boarder. Once the paper was torn (and I did do one at a time) I used Mod Podge to stick the paper onto the canvas and sat it in the sun to dry. Since these were going to be hung in our bed room I really wanted principles from 1 Corinthians 13:4-7 written on them. So using a friends Cricut and brown card stock I cut out these words. Once the letters were cut out I Mod Podge on this beautiful ribbon and the letters over top of it. I finished the canvas off by placing strips of paper around all four sides and then to give it more depth I took a brown ink pad and dusted around the canvas. They look so beautiful I can hardly believe I did them for under $10!!! Now I am off to pick up more of these to do some for our living room and I think they would make great gifts. Morning readers, I want you to jump on over here to our hungry for truth to learn about this time of prayer that is going on through out Canada. ~Scatter Joy~ cards is a little home based mission minded card company co-founded by two sisters and a best friend!! Last summer my friend Deanna got to travel with Compassion to Ecuador to visit a Compassion project there. When she came back and was telling us all about the trip one thing that stuck out to me from her experience was that she could tell that writing to your sponsor child really makes a difference. We combined that experience with our joy for card making (and giving cards) and that is how ~Scatter Joy~ cards was born. There is nothing like receiving a homemade card letting us know that someone is thinking of us, wishing us happy birthday or sending us an encouraging scripture verse. We put our creativity together and in one blow out card making night we managed to create over 50 cards. Our cards are all uniquely made with lots of love. These cards are being sold at the merchandise table at Life Support concerts (The band Deanna is part of) . The reason that we wanted to make these cards was for people who were sponsoring a child (because the band are advocates) could have nice encouraging homemade cards to send to their sponsor children letting them know how much they are loved!! And if you aren't from close but you are a Compassion sponsor please feel encouraged to go and write a letter to your child knowing that it does make a difference! For more works for me ideas head on over here. As some of you may know I have been working on my granola bar recipe (there are lots of tips here for how to make the perfect crispy granola bar) these days. While whipping up a batch last week I had a brain wave to try and make a sweet and salty granola bar. So I made some alterations to the recipe to come up with a delicious bar that I have been enjoying snacking on all week. Combine all ingredients, mix well. Press firmly into a cookie sheet lined with parchment paper. Bake in pre heated oven 350 for20 minutes. Cool completely before cutting. I love how the recipe can be altered and changed to your own personal preference. What I did to make it more of a sweet and salty bar was instead of using 3 1/2 cups of rolled oats I only used 3 cups and added ~ 1/2 cup of crushed pretzels. Also instead of adding chocolate chips (because I didn't have many left) to the top like usual I melted them down and spread it all over the top. Oh my are these bars so good. I think I have finally nailed the recipe!! For more kitchen tips head on over here. Hey Readers...wow another week has come already. We had such a great weekend enjoying a delicious family turkey supper (lots of pictures to come) with lots of yummy, yummy desserts. I found some recipes last week for freezer meals that I think will be great for those "suppers on the run". If my energy keeps up I will be stocking the freezer with these treats. Now I know that this post is not really applicable right now in this weather seeings how we still have a massive amount of snow outside but I can't wait to share what my creative (and handsome) husband did for me this week. While I was out at a meeting, hubby was busy at home letting his creative juices flow. So when I arrived home later that evening this is what I walked through the door to find! My handsome hubby behind a homemade ice cream stand that he called Scoops. The name comes from my favorite ice cream stand back home where I grew up. My friend Ashley and I would run about 3-5 times a week around the town then stop at Scoops to grab an ice cream and then walk back to her house! Sounds funny but the motivation of getting that ice cream after the run made it all worth it! Sitting on the stove right before the stand was $1.50. I guess I was going to have to use that to buy my ice cream. It felt like a real ice cream stand since Micah put our little tub into this "big" ice cream bucket. He topped it off nicely with peanuts, chocolate chips, and of course cookie pieces. What a fun and creative thing hubby did. We thought it will be a great thing to do with kids. What fun they would have ordering their ice cream and topping it up with lots of special toppings. *OH this is where my frugal friday post comes in* Since it cost an arm and a leg at an ice cream satnd these days you can set your own prices, use your own money and then get your own money back!!! Its a lot cheaper to make an ice cream stand out of things laying around the house then its is to go out and get a cool treat. My husband is so creative and frugal!!! While working in our church nursery a couple of Sundays ago I noticed this lovely bucket of broken crayons that the kids where trying to color with. Without hesitation I quickly told the nursery leader that I had seen on a couple of blogs how you could melt down old broken crayons and make them new again and that I would be up for the challenge if she wanted me to try. She had no objections so that week I got to work on what I though would a fun simple project! First you have to peel off all the paper on the crayons. You think that this would be an easy job but you come to realize once you are working on trying paper off crayons that I have been around since the church was built how hard and tedious this job can be. So then I had a brilliant idea which I am sure my friend Niki laughed at when I messaged her with my brain wave to steam the paper off....OK now that you have composed your self from busting a gut at the fact that I tried to steam paper off a wax substance I will continue with my adventure as I am sure many of you can image the big mess I had in my steamer after only have the crayon in there 1 minute trying to remove the paper. So finally I worked out a little "paper taking off" system by using a knife that helped speed things up until my thumb was so sore but now that its calloused over I am sure the next time I do it, it may go over better. Once all the paper was off I shorted the crayons out by color and placed them into a lined muffin tin. I put them into the oven (300) for about 10-15 minutes. The colored did look so pretty but the whole house smelled like a big waxy crayon factory and I thought from reading some of these other blogs that the crayon came popping out like nothing and it was easy as pie to make "new" crayons...haha not exactly as the wax leaked through the paper liners and stained the muffin tin. I am way to scared to use it now because who wants their honey bran muffins tasting like wax! So after this batch in the oven I decided to follow some one else instruction they had posted where you can put the crayons into a tin (old soup can) and melt the crayons in boiling water. Once melted I poured into a silicon star shaped ice cube tray. This process seemed to work better but still after a week the wax smell is still lingering in the house! So here is my finished bucket of crayons. Some big round ones from the muffin tin and lots of stars. The "new' crayons work really well. I think that the kids loved them and of course these ones are easy for the little kids to color with. As for a project to do again. I may wait until my little guy is past the stage of eating the crayons before I try this project again.